Most people these days find that day-to-day life is a frantic blur and when you’re constantly on the go sitting down for a sumptuous meal isn’t high on the list of priorities. But every now and then comes an occasion worth celebrating and when you’ve spent all week carefully planning the perfect feast you’re going to want to be able to display it with the elegance it so rightly deserves. To help you separate the extraordinary from the everyday we’ve put together a guide to help you navigate 2017’s tableware trends and make the best choice for you. This year sees the return of simplicity. Raw, unfinished pottery with lots of texture are definitely in vogue right now. 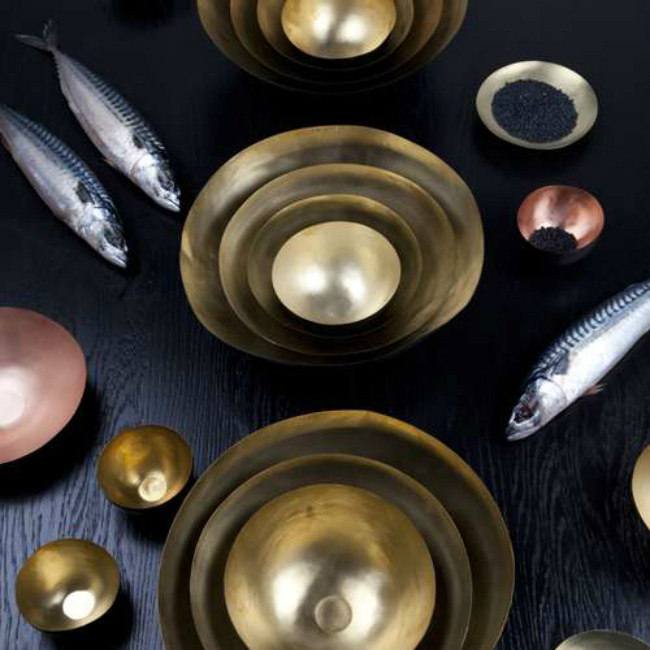 Tom Dixon made a splash at Maison Objet 2017 in Paris with his metal dinnerware so if you want something more eye-catching, try splatter or malachite prints on a metallic base. 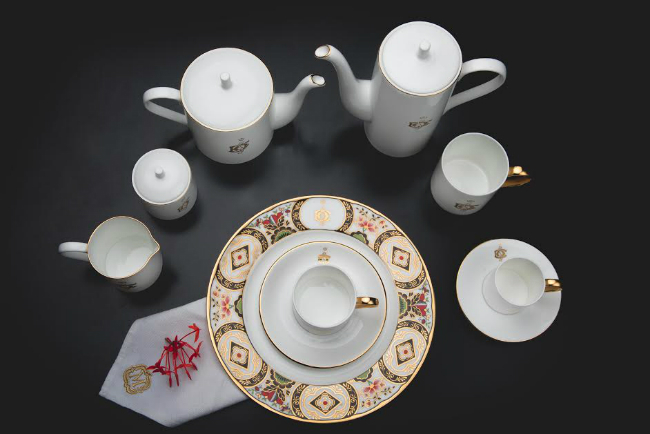 If you prefer a more subtle, timeless approach then Monogram tableware is for you, it’s a look that never fails. 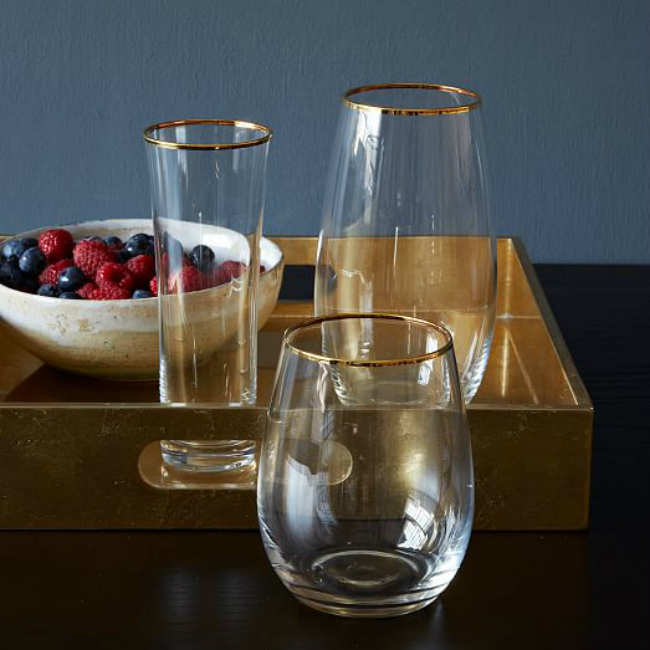 For a more modern look, try stemless glassware being easier to handle and less obtrusive they’re popularity is on the rise. Place them a triangle in the top right corner to make the best use of their effect. 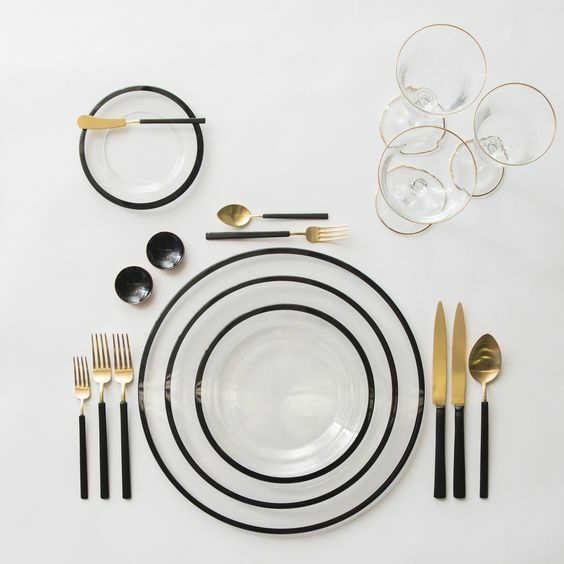 Here again we see a lot of experimentation with metals and whether it’s brushed copper, gold or matte black, unconventional shapes are a must. 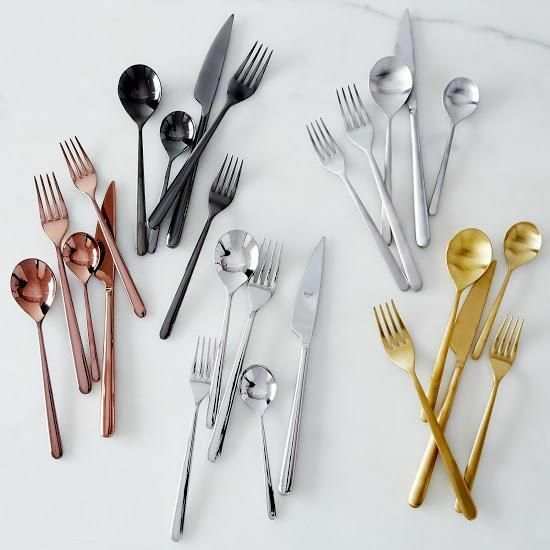 No need to worry about having full sets, mixing metals is all the rage so put together all your odds and ends and get ready to wow your guests. The days of boring linen tablecloths has passed, to spice up your table try criss-crossing runners in lieu of table mats. Or go one better and do away with them entirely and use charger plates instead. For more formal affairs you can turn once again to your old friend, the Monogram. 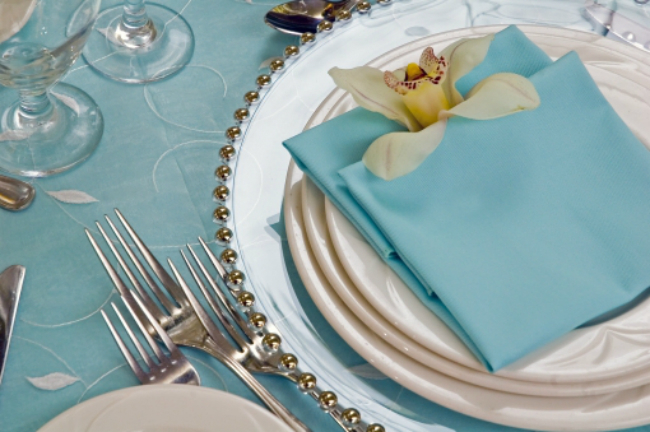 For you linens, napkins and even tea towels, Monograms will lend an air of sophistication to any event. This is one aspect of your table that you can’t really get creative about, the traditional setting is something that has stood the test of time for a reason. 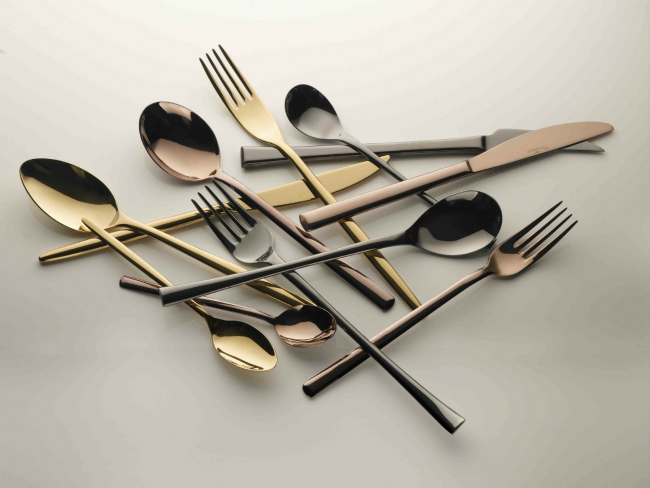 For the flatware the basic rule is that utensils are placed in the order in which they’ll be used. So start from the outside with the salad fork and knife and work inwards. 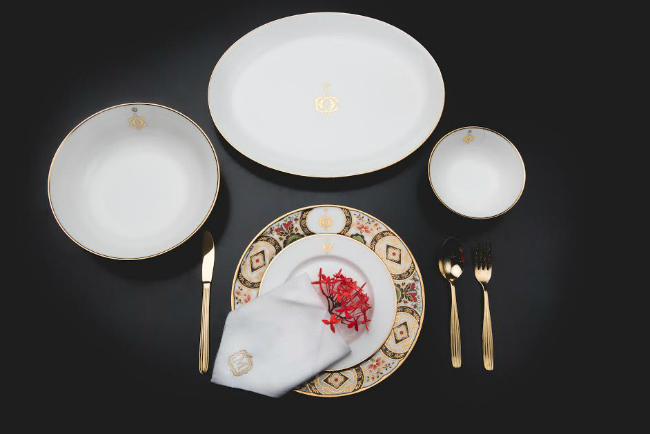 For the tableware there’s very little that can go wrong, if you’ve decided to forgo table mats in favour of chargers, place that on the base with the dinner plate, side plate and if necessary, a bowl for a simple yet elegant aesthetic. Place a single flower in each bowl or plate for a touch of decoration.